Size: 3.87 x 2.74 mt. 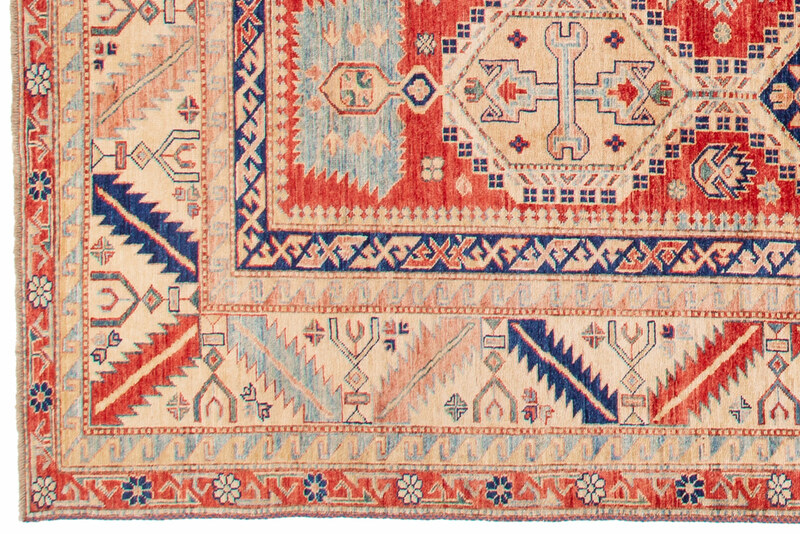 Kazak rugs were woven by Turkic nomads, now settled near the Caucasus mountains, between the Caspian and Black seas. 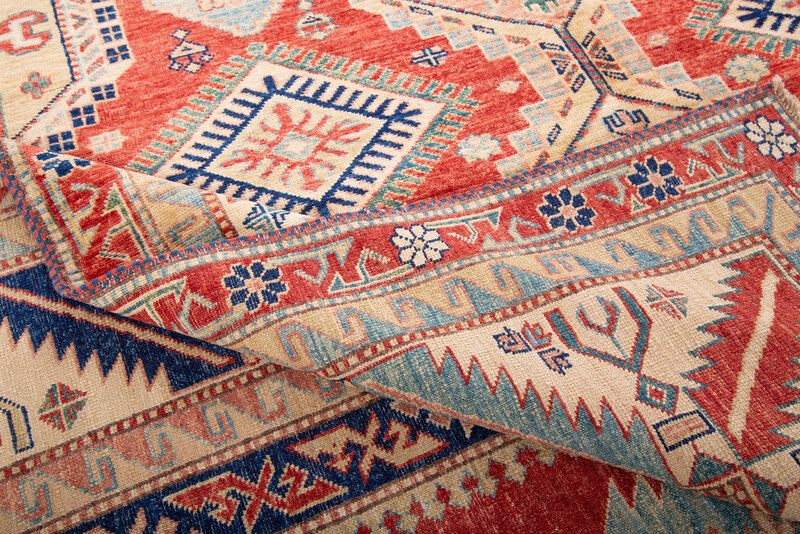 Although Kazak carpets are made by many different tribal groups nowadays, they have many common characteristics. 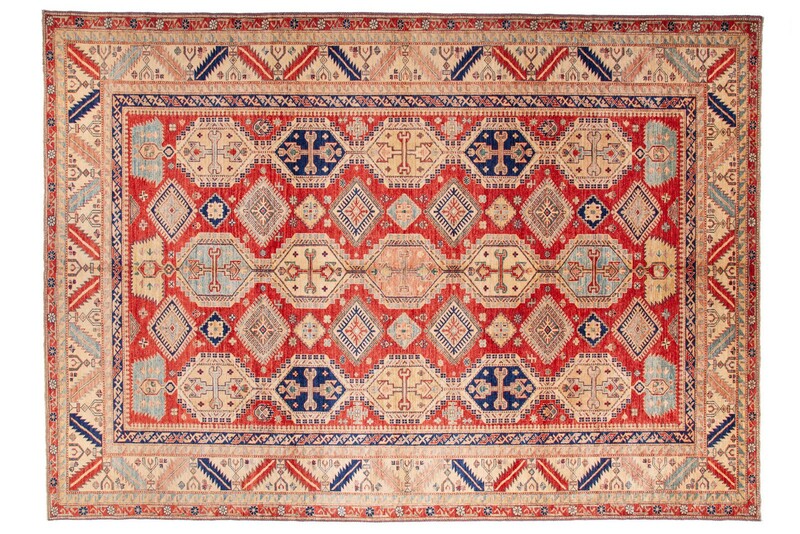 The most common ones are the Abrash effect and a special wash at the end of the weaving process, which leaves a beautifully soft look and an amazing depth of color to the rug. 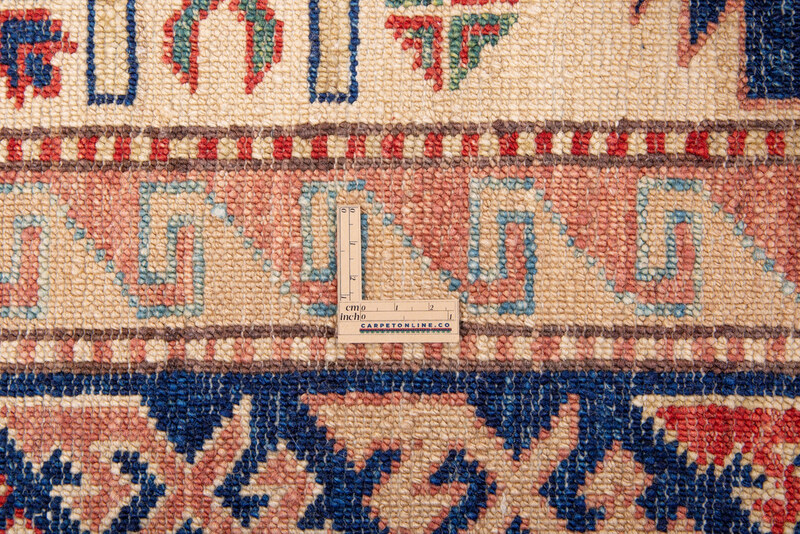 The patterns are very geometric and bold, the designs are crosses, squares, diamonds and triangles. Common colors are blue, red, yellow, green, navy and beige. 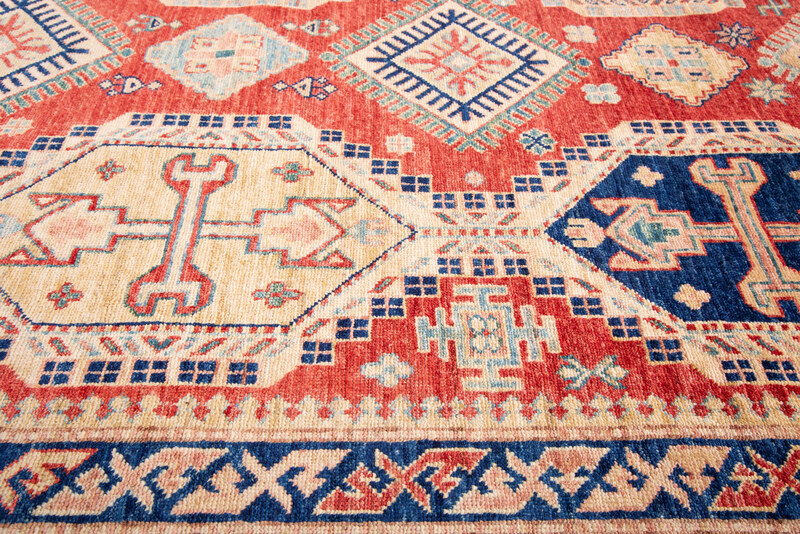 A Kazak rug brings style, color and rich tradition to any living or work space.